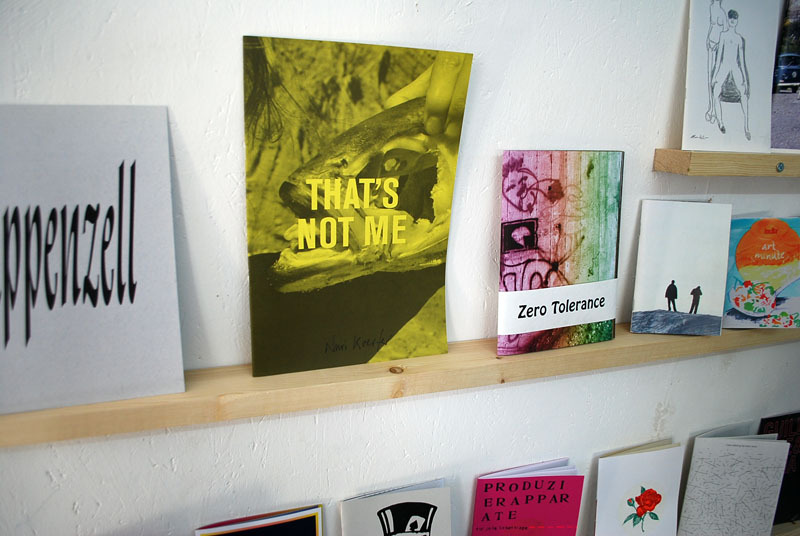 Lokal-Int is hosting a pretty unique exhibit here in Switzerland– it’s all about zines. 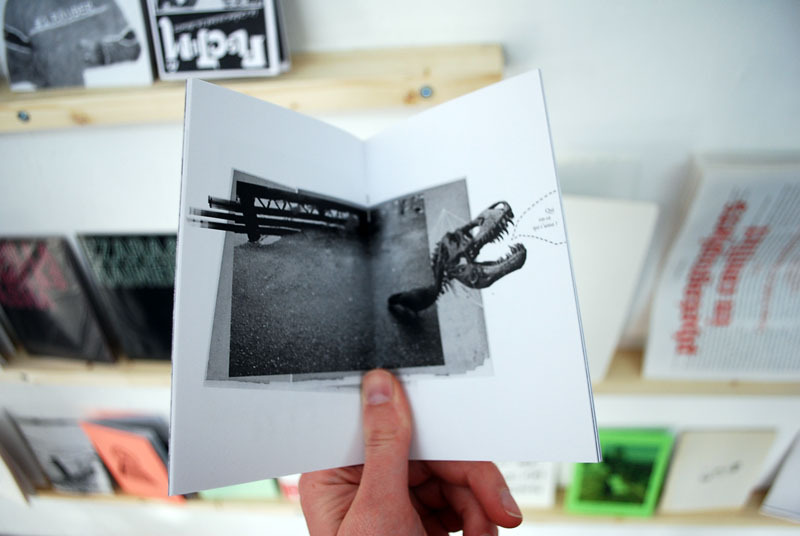 Created in 2006 Lokal-Int is an artist runned space that defines itself as a creative platform for exhibitions, performances, new forms of presentations. 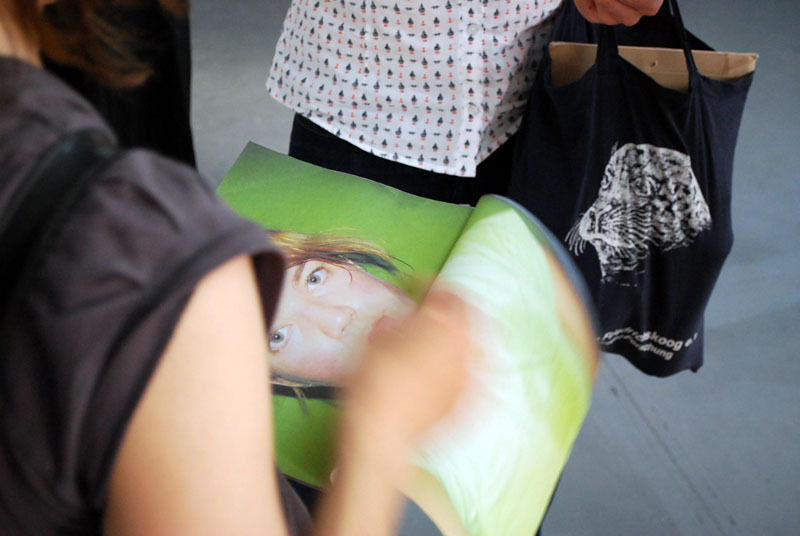 Lokal-Int is also a social platform that promotes the dialogue between artists and the public. 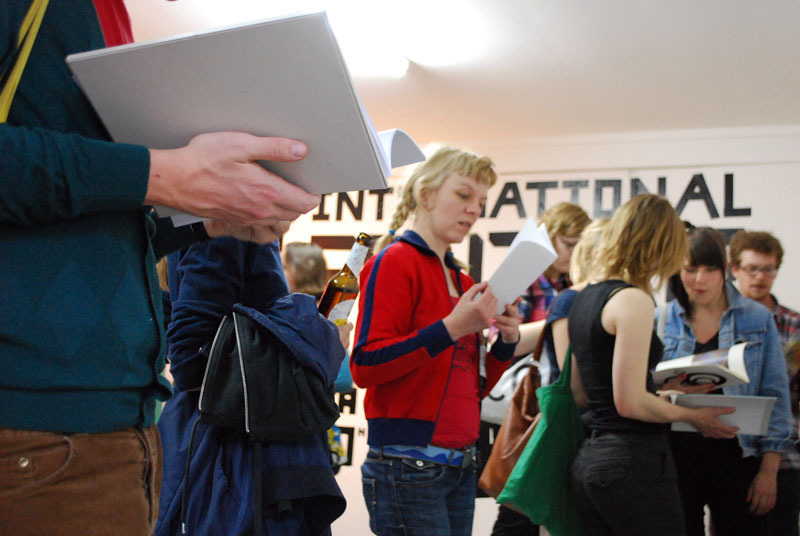 Artists are invited on a weekly basis and every Thursday, an opening of a new artistic intervention takes place. 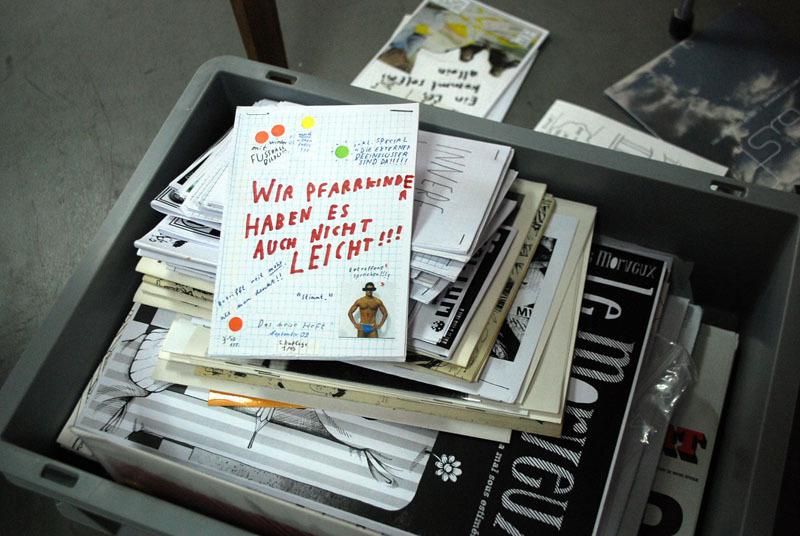 This time, Lokal-Int has paired up with Vandag, a space dedicated to edition and publication in Bienne, to transport you in the world of the small publication by bringing rare and qualitative stuff from all around the world. 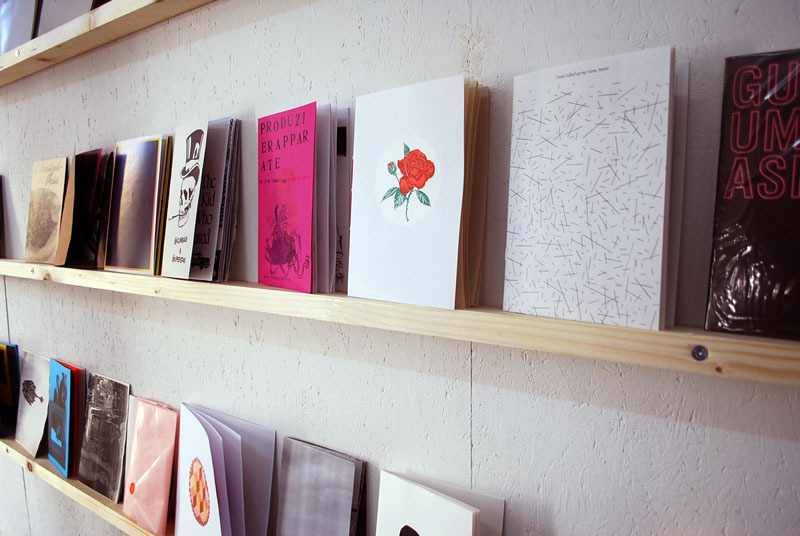 Yesterday evening I had the chance to experiment this creative place filled with high-quality zines and interesting people, above are some of my favorite zines from yesterday. 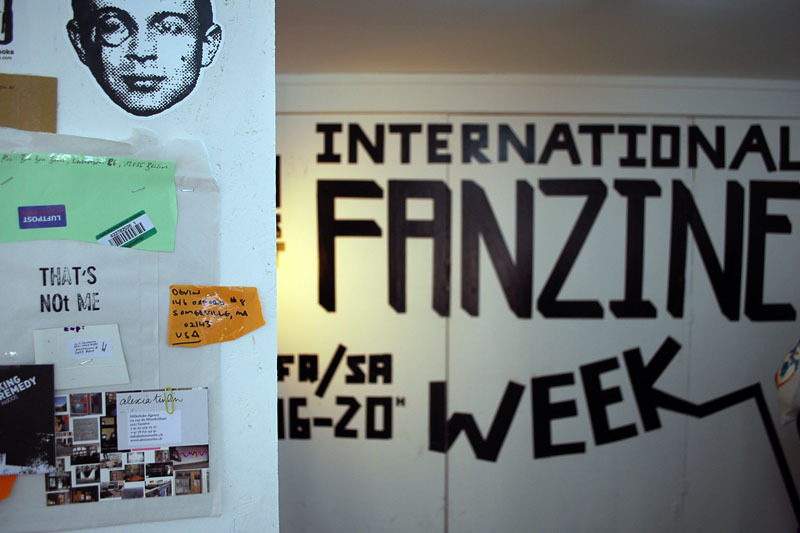 The Fanzine exhibition is on view over the next few days (til the 9th April) at Lokal-Int. 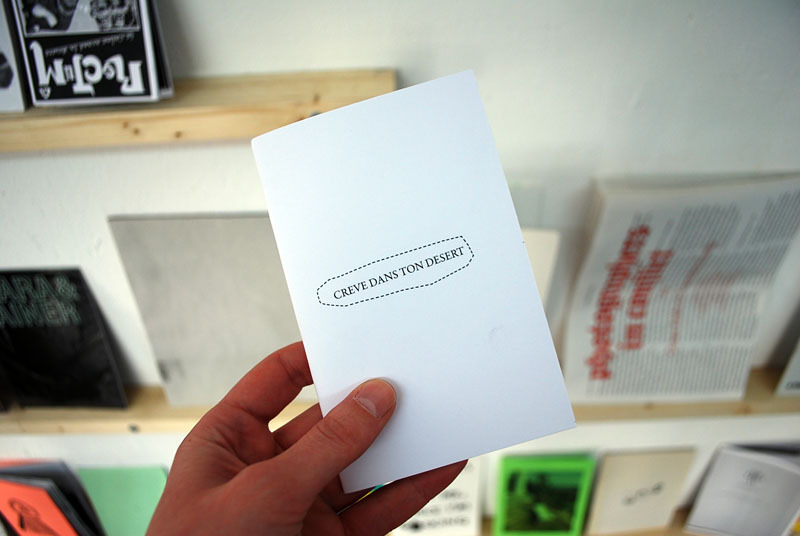 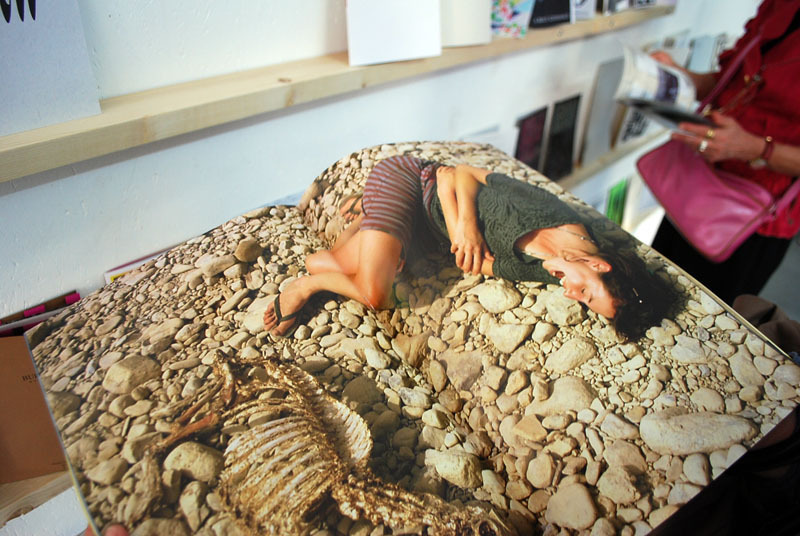 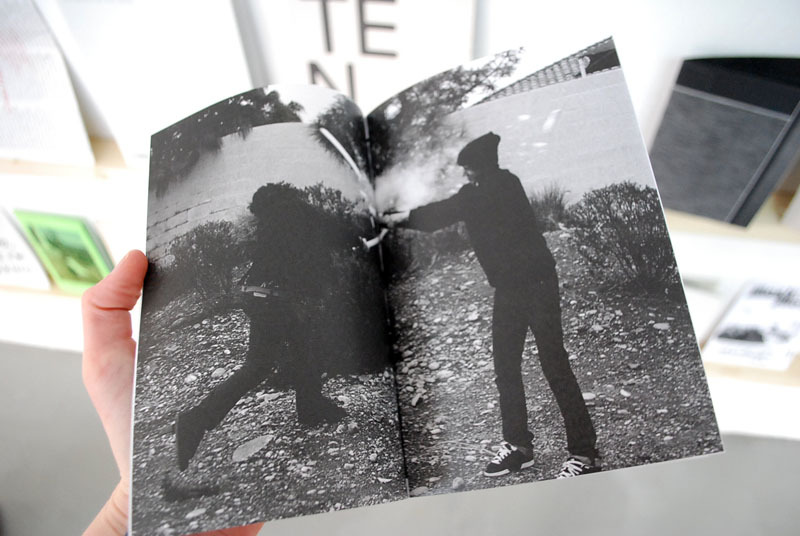 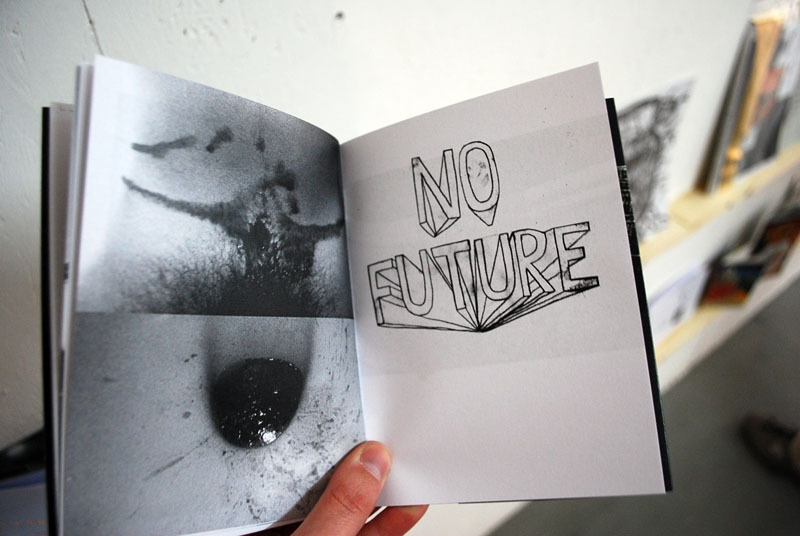 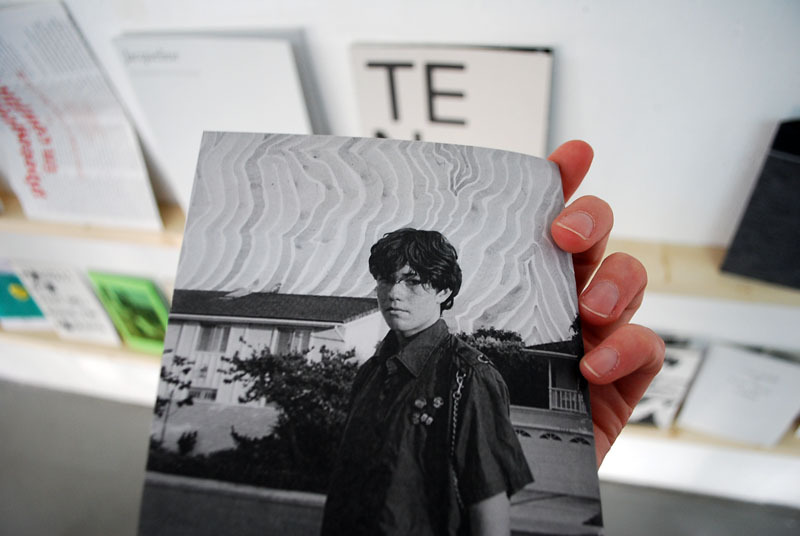 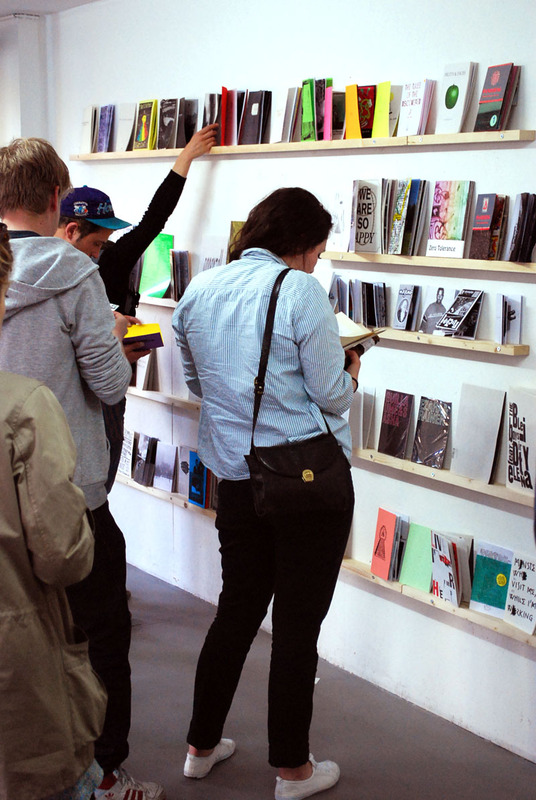 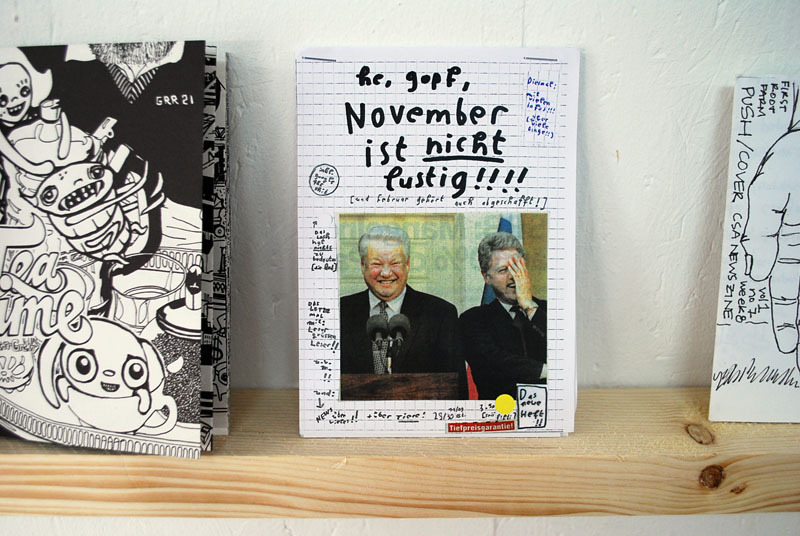 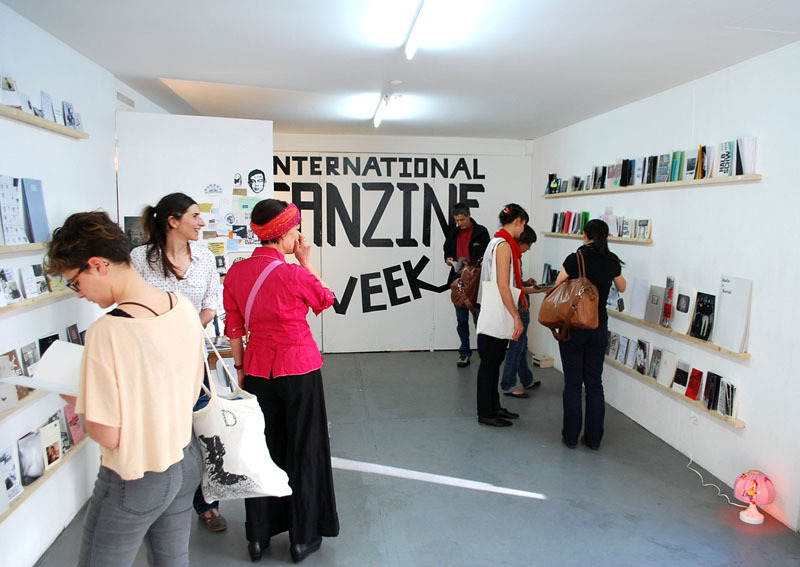 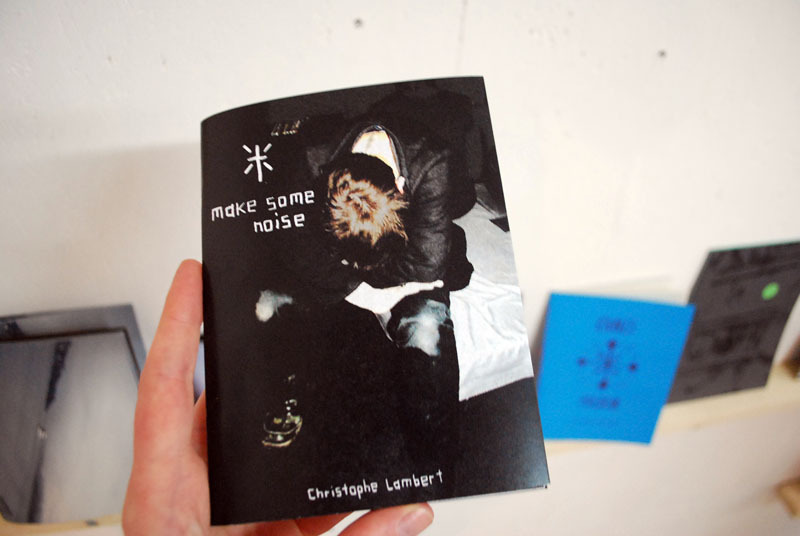 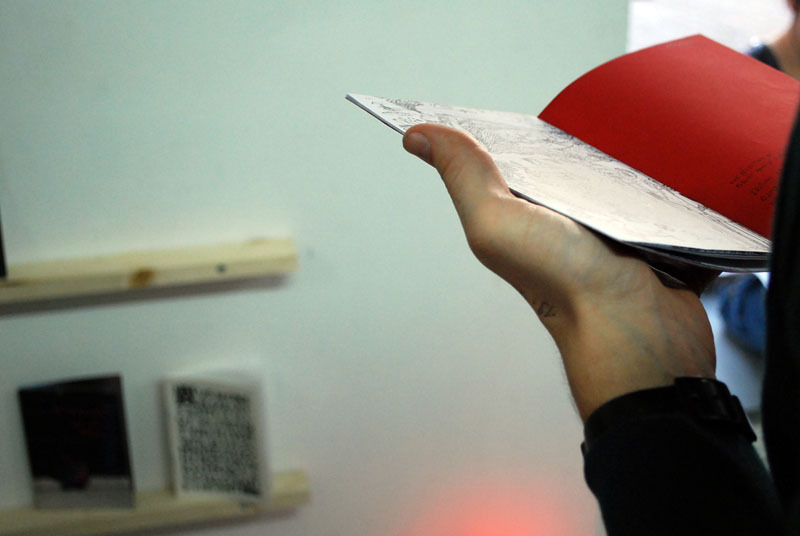 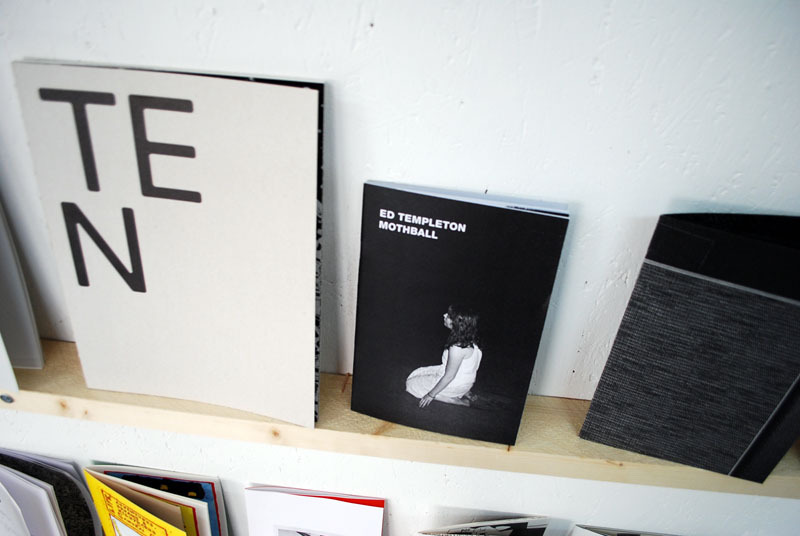 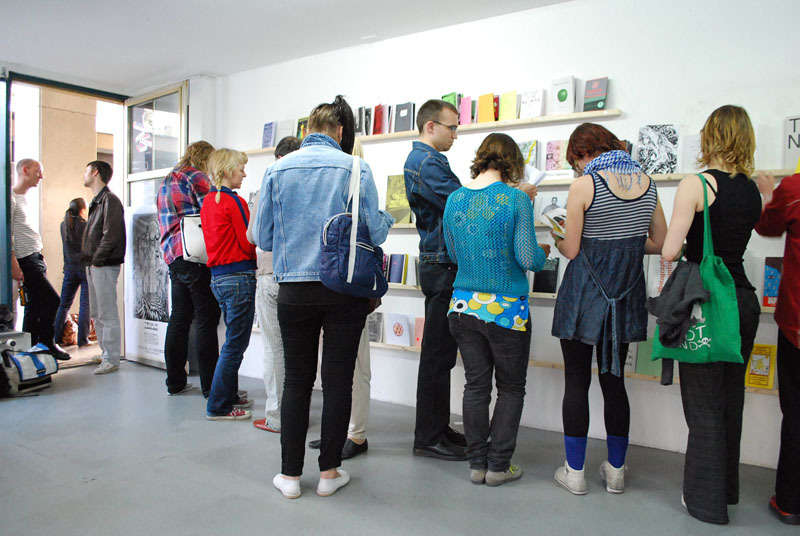 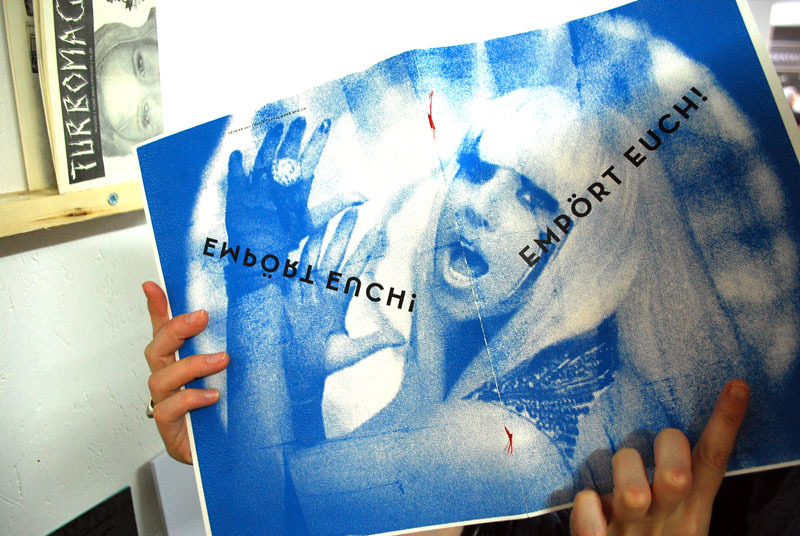 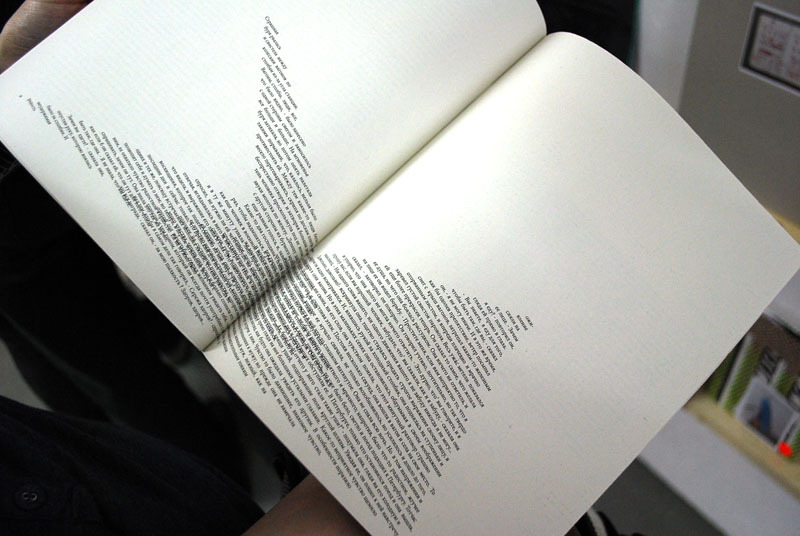 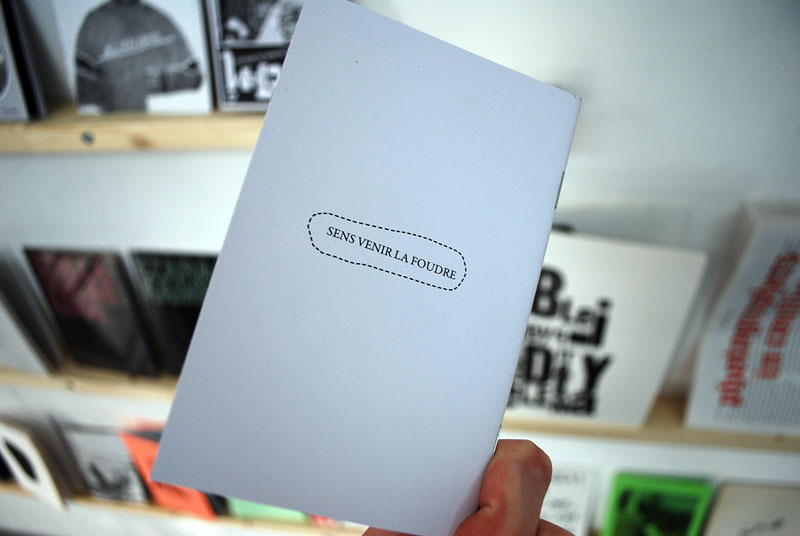 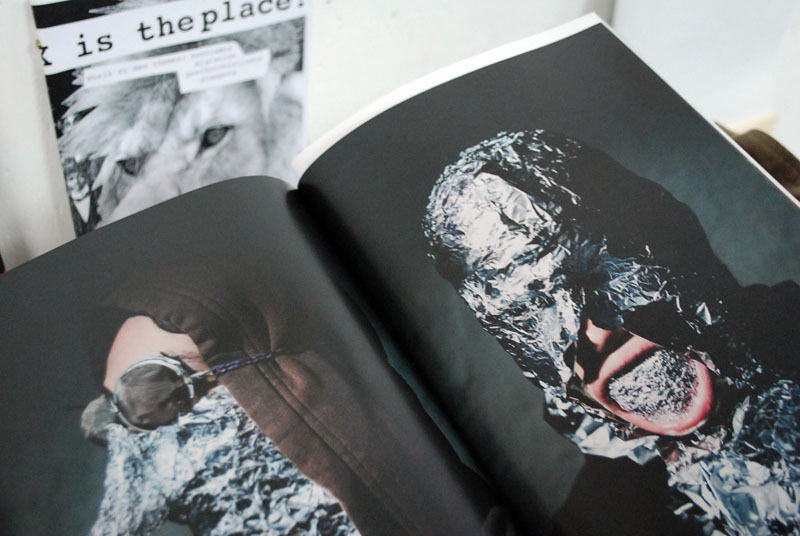 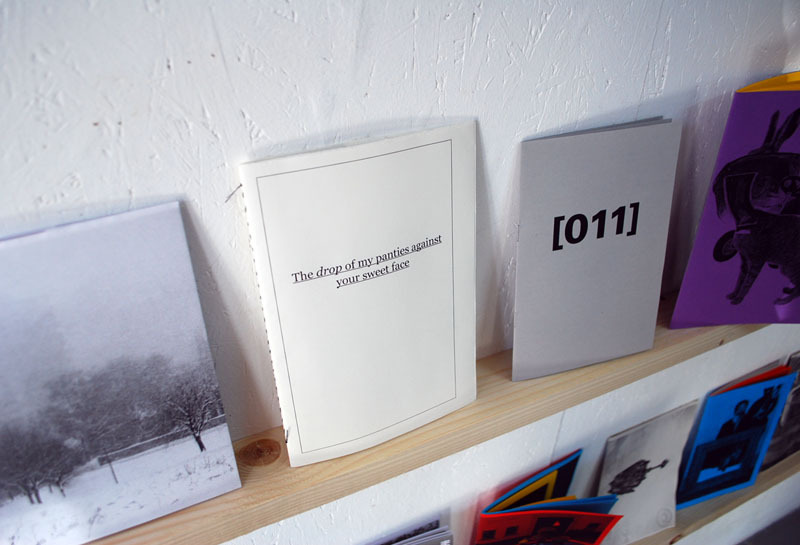 After that, come check out more zines and publications at Vandag still in Bienne (from the 14th April to 21 April, 2011).